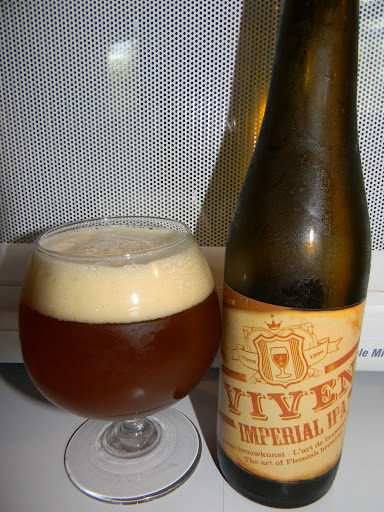 Van Viven | Beer Apprentice - Craft Beer News, Reviews, Interviews and Info. Hello guys. 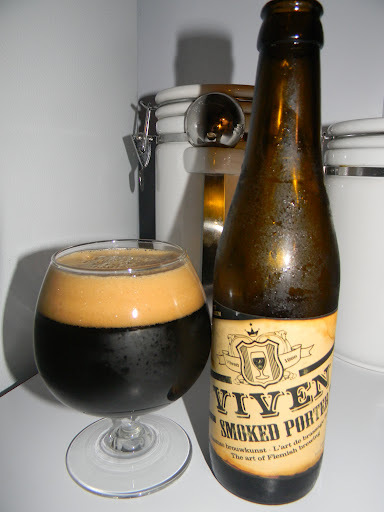 For today’s craft beer review I’m going to be sampling the Viven Smoked Porter produced by the Brouwerij Van Viven located in Sijsele, Belgium. I really enjoy smoked beers and although it may still be a bit warm outside for my liking for this style I figured that having one wouldn’t hurt too much. Let’s check the website, viven.be, for some information regarding this brew. Viven Porter is a fairly bitter porter beer, smoked to produce grand flavours. Is for the beer connoisseur a remarkable piece of craftsmanship compiled into a single glass of beer. The finesse in the finish and creamy crown make many mouths water (or better: ‘beer’). This brew comes in an 11.2 oz. bottle and it has an ABV of 7.0%. It poured black to say the least. No highlights whatsoever showing through. A well sized khaki colored head was formed from a very easy pour. It was both creamy and smooth. The retention time was solid and the lacing was sturdy as well. A very pleasing looking beer in my opinion. The nose brought forth a nice waft of smoke and wood. Even a few bacon and country ham hints. Just a touch of light coffee along with a few toasted grain notes gave it a wee bit more complexity and helped even and balance it out. I thought it smelled pretty good. The flavor has a medium strength aggressiveness as far as the “smoke” aspect goes. It seemed to have more of a toasted grain profile however. Again, hints of bacon, fried bacon fat and country ham. As the brew warmed it seemed to lose some of its coffee savors and “power”. I don’t know if that was due to the fact that my palate began to become acquainted or what, but it didn’t hold together as well as I thought it might. The mouthfeel was medium to medium/full. Very smooth, chewy and dry with an excellent amount of carbonation. A plentiful amount of flavor was left behind after each sip as well. This was a very good representation of a smoked beer from my standpoint. It definitely shouldn’t be passed by if you are experimenting with all of the smoked beers that are out there. Even though the Viven Smoked Porter may not exceed the Schlenkerla in robustness and flavor profile, it is quite a bit easier to drink I think. It’s just not as “loud” or pronounced as those representations are. I would pick this up again for sure and I would love to try it again either this Fall or Winter. A lot of smoked beers are very one dimensional, as is this one, but sometimes that’s all a person needs. Nothing too confusing or overwhelming. Just straight and to the point. Have you guys ever tried the Viven Smoked Porter? What did you think? Feel free to leave a comment and let me know.